Last year’s Isle of Man TT champions Michael Dunlop, Peter Hickman and Dean Harrison have confirmed their entry for the 2019 race meeting. They will be facing some of their toughest opposition yet as multiple TT Race winners John McGuinness and Ian Hutchinson make a full-scale return to racing after injury. 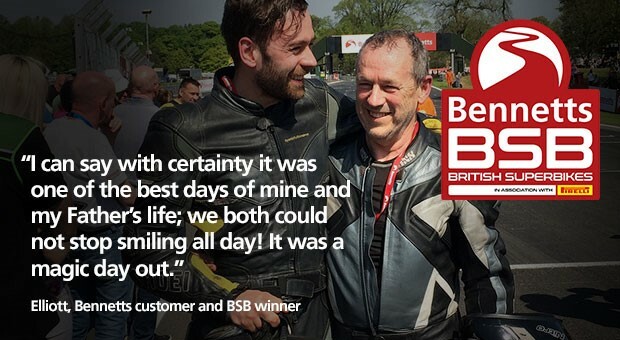 Add in the likes of James Hillier, Conor Cummins, Michael Rutter and Gary Johnson, and the 2019 TT will boast no less than nine former solo race winners, with a staggering total of 80 victories and 195 podium finishes between them. Local hero Conor Cummins will again lead the field away on the Milenco by Padgetts Motorcycles Honda machines. He takes the number one plate for the second successive year. Dean Harrison follows him this time around, at number two on the Silicone Engineering Kawasaki. Twenty-three-time TT Race winner McGuinness goes back to his favoured number three on his factory Norton - a position from where he’s been victorious on numerous occasions before. Hutchinson will again sport his preferred number four, from where he memorably won five races in a week in 2010, and the Honda Racing rider will be keen to get back to winning ways. Tyco BMW Motorrad’s Michael Dunlop - a triple Race winner last year - takes his familiar starting position at six, with outright lap record holder and last year’s PokerStars Senior and RL360 Superstock champion Peter Hickman set to hunt them down on the Smiths Racing BMW from his own familiar starting position at 10. Completing the top ten line up of breath-taking quality in the three 1000cc races are TT winners Hillier (5), Gary Johnson (7) and Rutter (8) – along with Honda Racing’s newest recruit David Johnson (9). With competition as fierce as ever, the TT has seen a real jump in lap speeds in recent years. This year’s event, therefore, sees a further reduction of accepted entries across all the solo classes to reduce the likelihood of race leaders catching slower competitors in the closing stages of each race. 70 entries have been accepted for the 1000cc classes, from which there will be a maximum of 60 starters, while 73 entries have been confirmed for the Monster Energy Supersport Races for a maximum of 68 starting places. TT 2018 saw blistering new lap and race records set in every class and fans now only have two months to wait to find out who will come out on top in 2019 and whether records will fall yet again.